What are my options? 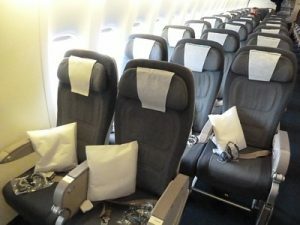 Many of our clients love travelling around Europe each winter, but aren’t so thrilled by the prospect of over 26 hours of flying to get there, so an increasingly frequent question we’re asked is “how much extra does it cost to fly in a bit more comfort, but without paying business class prices”? Well, there’s a few options, depending on your budget, and the degree of extra comfort you’d like! 1. 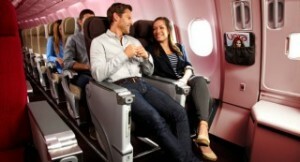 Fly economy but request or pay extra for ‘preferred seating‘ where possible. This sounds like a great idea in principle – grab the exit row or bulkhead seats which have extra legroom and then you have more chance of arriving at your destination in good shape. The reality is though that no airline will pre-allocate exit row seats for free and trust me, if you are travelling without young children, you really don’t want to be in a bulkhead seat – that’s where airlines put babies in their bassinet cots – I’ve been one of those parents! Singapore Airlines offer “preferred (paid)” seating at USD$75 per sector on their 777-300 and A380 flights, but there are only three of these on their 777-200 from Christchurch (48A, 48C & 50C) so you need to book early for these! Air New Zealand also offer seating in their exit-row seats for NZ$95 extra, which is excellent value for money as even more legroom than Premium Economy as you have nothing in front of you and you are on the side of the aircraft well in front of the bassinet rows. Be careful though, as their ‘premium’ seats aren’t always exit row or bulkhead seats – they might just be where the seating configuration tapers down to 2 rather than 3 on each side of the plane towards the back or allow priority boarding – these are usually charged around $39 extra. 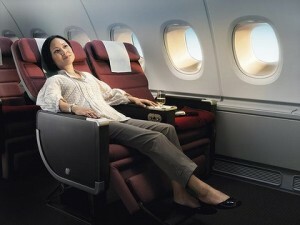 Qantas currently charge AUD$180 per long-haul sector for extra legroom, and it’s a similar price on Lufthansa. On the subject of preferred seats, a few airlines like Cathay Pacific fly A340 Aircraft where the economy configuration is a couple-friendly 2-4-2 across. A few like Lufthansa and Air France still offer a few seats in a small 2-4-2 economy cabin at the rear of the upstairs on their A380’s. Some airlines operating Boeing 777’s taper to just 2 seats (rather than 3) on the side at the rear – including Emirates from Christchurch to Dubai. 2. 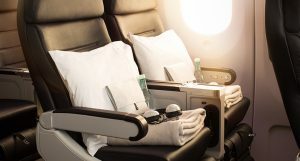 Go ‘Cuddle Class’ (otherwise known as “Skycouch“) on Air New Zealand operated flights – currently only on their 777-300’s via Los Angeles to London. Again a very clever and nice idea in principle as you are essentially paying a (variable, starts at $200 extra if all 3 seats are already sold) premium for a seat in the side block of 3 on the 777 and the privilege of not having the remaining seats of the 3 occupied. The row of 3 then are turned into a flat space by raising footrests to the level of the seat. We think this is a nice option for a single parent with 1 or 2 kids, but 2 normal sized adults might find the ‘Couch’ a little snug when both are trying to sleep as the length is only 5ft 1in. Still, full marks to Air NZ for innovation! 3. Fly in Premium Economy – this is currently available on several airlines offering fares from NZ – notably with Air NZ, Qantas, Singapore Airlines (ex Auckland only from 26 October ’15), Virgin Australia/Atlantic, Lufthansa, Cathay Pacific, Air France, British Airways, Turkish Airlines & KLM and is a separate class in between economy and business which offers greater comfort – usually priority check-in, increased luggage allowance, a quieter cabin with fewer seats, better legroom, wider seats and usually better food! 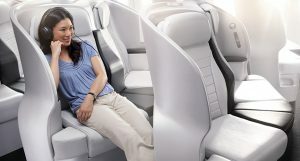 We usually get good feedback on clients trying this option for the first time and return Premium Economy fares from Christchurch to London usually start around $4011 + taxes when there are specials. It’s worth noting that if you are wanting to use Air NZ Airpoints to apply for upgrades to Premium Economy via the ‘OneUp’ bidding process, and want to fly with Air NZ themselves all the way to Europe and back, you can only fly Auckland – Los Angeles – London and vice-versa. Likewise, if flying Qantas from Christchurch to Europe, Premium Economy is only available on the Sydney-Dubai-London and v.v flights operated by Qantas. 4. 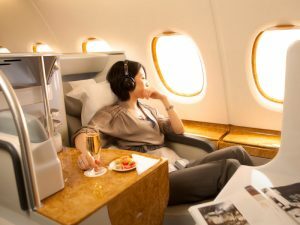 Buy a Business/Economy Class combination fare with Emirates – this has been a very popular option for our clients as you can fly all the way from Christchurch via Sydney – including on the lovely A380 from Sydney to Dubai in business class, then just the last leg from Dubai to Europe (approx 7-8hrs) is in economy. You can use the limo service in Christchurch and the lounge in Sydney and also in Dubai on the way home. This is currently priced at $8100 for a return fare from Christchurch to Paris or $8400 to London and 75% of the flying is in business class in a flat bed ! 5. Take advantage of a really good deal on Business or even First Class, usually with airlines like China Southern Airlines, Malaysian, Cathay Pacific, Etihad etc. For example, China Southern Airlines currently have business fares to London from just $5700 + taxes. 6. 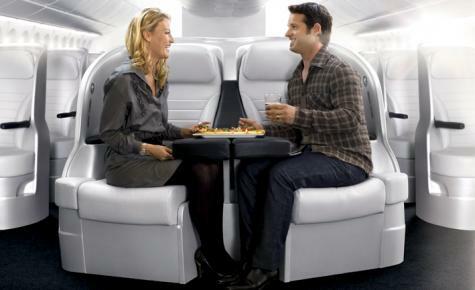 Pay for lounge access while you are in transit on economy or premium economy flights. This is a good option if you are not travelling on an Air NZ ticket and also a Koru Club member. Lounges are a welcome haven away from the busy crowded seating areas of the world’s busiest ‘mega airports’ like Dubai, London Heathrow or Frankfurt. 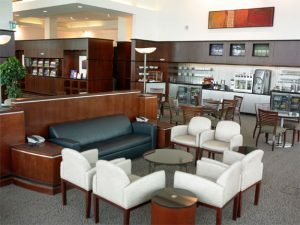 Paid airport lounges are now available in most, typically charging $40-50 for 3-4hrs access. There’s even paid lounges in Auckland and Christchurch. Most offer complimentary snacks and beverages, and some offer showers for a small additional charge. There’s also an annual ‘Priority Pass’ to over 900 Airport Lounges worldwide, currently priced at USD$99. Once this is purchased, there’s a fixed price of US$27 for each lounge visit, usually capped at 3 hours.